Gov. 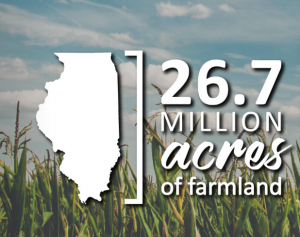 Bruce Rauner joined the Director of the Illinois Department of Agriculture Raymond Poe to announce the release of $16M in agriculture grants. The funds being released from the fiscal year 2018 budget will fund soil & water districts, county fairs and agriculture societies, and the University of Illinois Extension services. More than $54,000 will be sent to each of the 92 county fairs across the state. It will help operations at the fairs and may be used to support critical facility rehabilitation needs. Illinois county fairs are economic drivers for rural Illinois. A study from the University of Illinois shows county fairs generate more than $90 million annually and create more than 1,000 jobs each summer. In addition to providing family friendly entertainment, county fairs provide an outlet for our state’s youth to become involved and engaged in Illinois agriculture. Soil and Water Conservation Districts, which protects our state’s farmland through strategic conservation efforts, will receive $6 million. 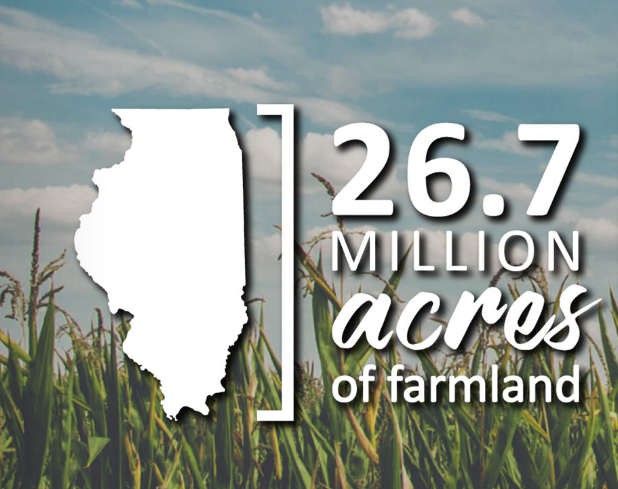 The 97 districts around the state play a central role in efforts to protect and sustain the viability of Illinois soil and water resources in order to preserve our farmland for future generations. The Department will be issuing more than $61,000 to each of the districts to help fund operations. More than 1.5 million Illinois residents take part in programs offered by the University of Illinois Extension Service. Extension provides educational assistance in the areas of energy and environmental stewardship, food safety and security, economic development and workforce preparedness, family health, financial security and wellness, and youth development. The Department of Agriculture will disperse $5 million dollars to assist the organization with its core mission.